Why do young children so often mix similar letters or write letters and numbers back to front? The explanation that I've been taught is that young children see things in 3D. It doesn't matter which way it's flipped or rotated, to them it's still the same letter. They haven't yet learnt to see things flat in 2D on paper. They have yet to learn that when things are written down they remain fixed and cannot be rotated or flipped. 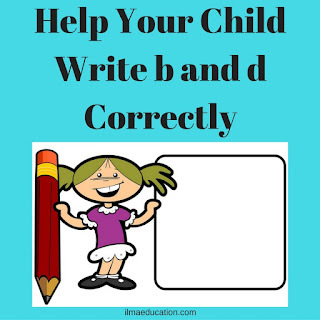 Take the b and d as an example. 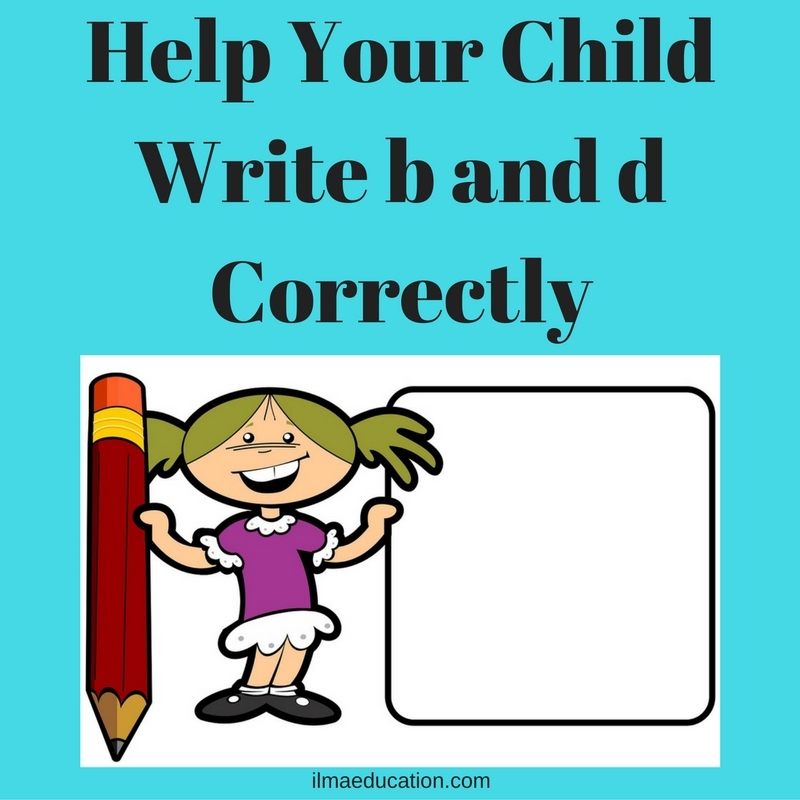 My prekinders get the b and d mixed up all the time; 'dad' is usually written as 'bad' or 'bab' or 'dab'. Poor ol' dad! Poor old dad, always the 'bad' guy! I don't normally mind too much as long as the children know their letters and numbers. They are afterall only beginning to write. 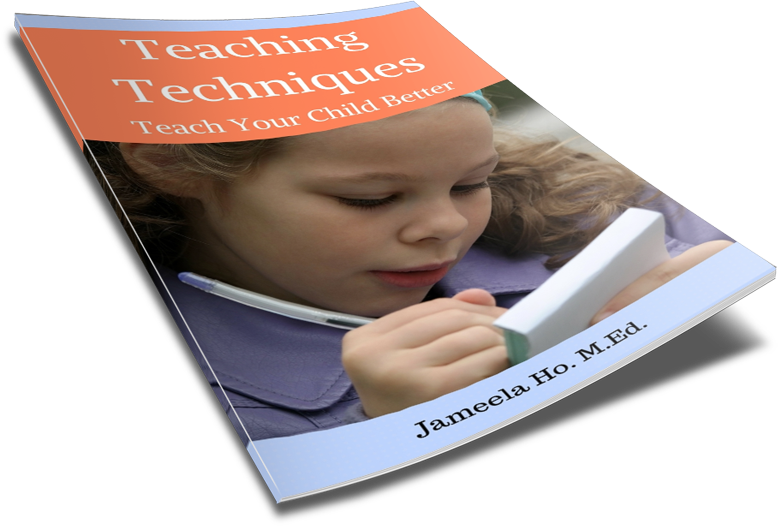 I know some parents are very particular with their child getting it the right way all the time. I tell these parents to relax as their child will get plenty (hopefully) of practice writing when they go to school. The problem usually stops around year/grade 1. So for the moment I do encourage plenty of writing but I don't make it too strict because it might put the children off writing altogether. 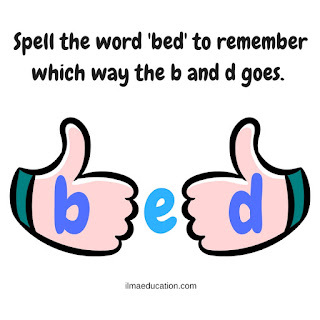 If your children are older you might want to fix this problem by helping them to form the letters b and d with their thumbs (see below) and to spell the word 'bed' to remember which is the b and which is the d.
With all the other letters and numbers, I always tell children how the letters are formed. 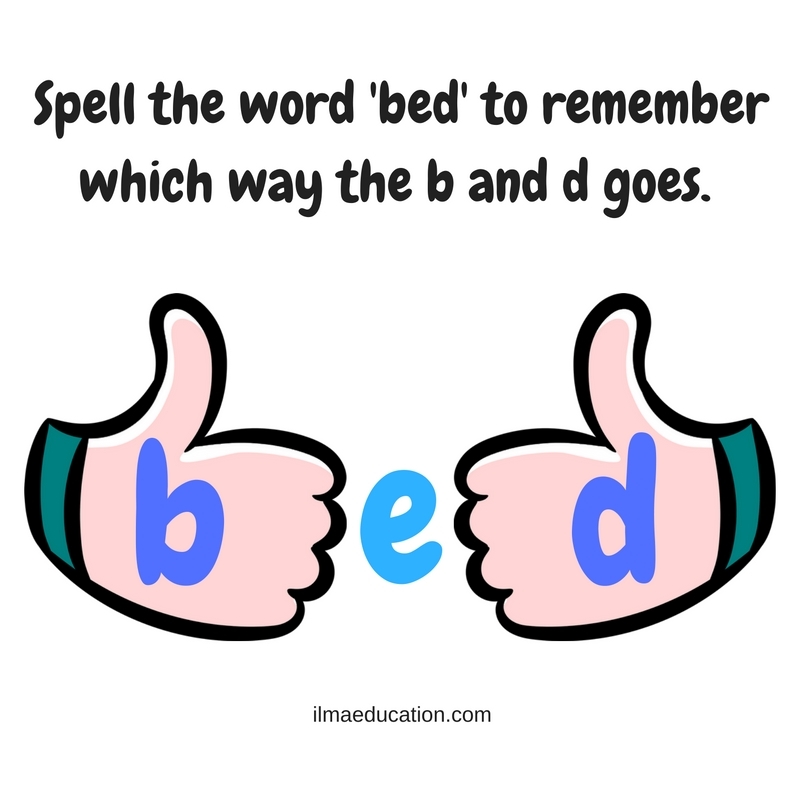 'b' is draw a long line down first then follow by a circle on the right bottom. The 'd' is formed by drawing the circle first then a line down on the right of it. It helps if they can develop scripts with each letter and number so they can tell themselves how to write it.